Today’s guest blog post is from Marci Shadd, a portrait photographer located in rural northern California and owner of the Click and Bloom Photography studio. She is happily married to her high school sweetheart, is in awe of her two amazing sons, and works passionately each day to cultivate a life well lived. This is the second part of her blog series, and you can read Part 1 here. Welcome, Marci! Revival can take place in many forms. 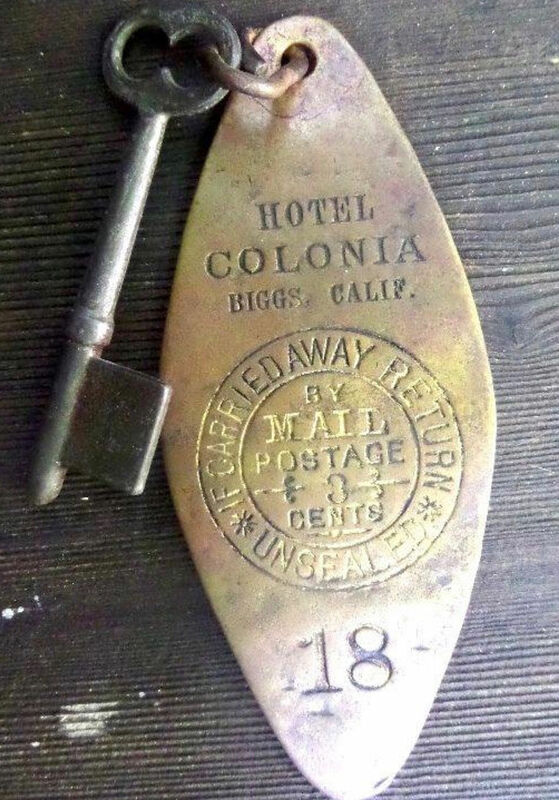 But in the case of the purchase of the old Hotel Colonia, the first stage of revival for our community was the natural inclination to share how the building connected with each one of us and remembering our past with a smile. My great aunt and uncle were one of the first to pry open one of the front doors. They were so excited to point out where the live band sat in the corner playing one New Year’s Eve in the 60’s and how delicious the food was in the restaurant. Slowly, as the community heard the news of the purchase, we were so blessed to hear story after story of moments that the building had touched people’s lives! From children climbing the columns in the restaurant for a quarter, to someone’s aunt that used to be the telephone operator in the front corner room. Each memory helped to tell a story of what life used to be like in our community. It didn’t take long to realize that the responsibility of this building being brought back to life was a lot more than just repairing windows and walls. People were placing a small bit of hope in us to start the revitalization process in the town. Which is kind of terrifying. And exciting. And overwhelming. But, oh how the potential is great. We have to do everything we can to make this building a usable space to help generate life and money back into the community! What to do? What to do? Where do you start with such a monstrosity? It’s overwhelming with room after room filled with garbage. The electricity was off, and we certainly didn’t want to turn it on without having it checked out. 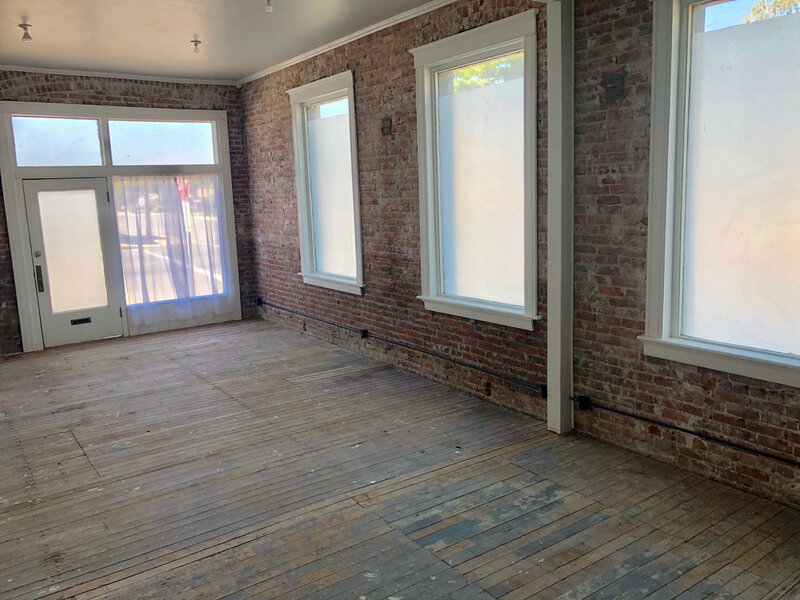 We knew our city just wanted the buildings to be safe, maintained and not boarded up, so we started with the easiest project… removing the boards from the unbroken windows. This let in light and it was like a little treasure hunt each time a new room was revealed! We were in absolutely no hurry and slowly sifted through the relics of the past sorting trash from treasure. Unfortunately, owners of the past and trespassers had already removed most anything of any historical value. For most of that first year we did nothing but make dump hauls and clean the downstairs. It was a long process, but in doing so we realized that the bones of the building were in much better shape than we had realized and maybe, just maybe this could be done! Year three, which happens to be this year, we sadly had to announce that the hotel was no longer haunted as I couldn’t bear for fake blood to be splashed on my pretty, newly painted walls. Many were disappointed but at the same time there was a sense of excitement that changes are happening. You can follow along with the progress of our building on Instagram and Facebook.